An odd fact: the Development Building 建设大楼, opposite the Metropole, was meant to be one part with the Central Police Station 总巡捕房. 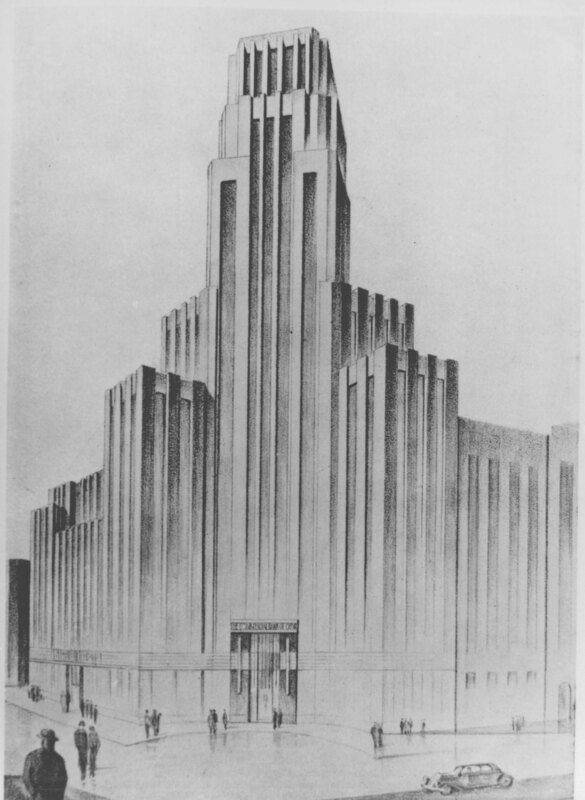 Architect D. G. Miriams' drawing of the planned corner building. Image: The China Press, 10 Dec 1931. The illustration above announced the plan to create a six-story building on the corner of Kiangse and Foochow Roads to house "all branches of the central police force, including the Criminal Investigation Bureau, Police Department, Fingerprint Department, and numerous special branches [...] at present scattered over all parts of the central district." This was published when Metropole and Hamilton House were already rising on two other corners of this intersection. 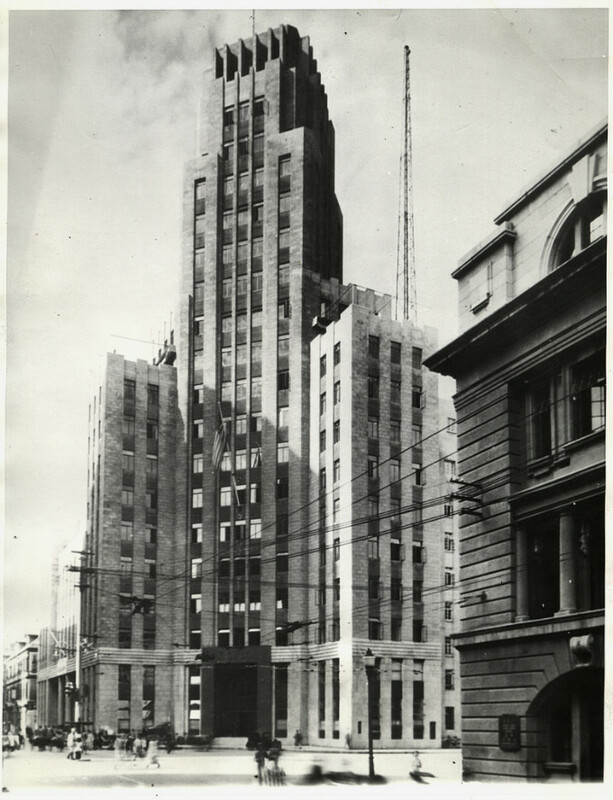 Instead, the Central Police Station was built in 1933 not on the corner, but in the middle of the block, while the corner was taken up by the Development Building rising much higher than the architect's vision. I think this was for the best, as it created the most impressive intersection anywhere in the International Settlement, firmly pinning down the center of the business district. You can see various angles of it at PastVu. 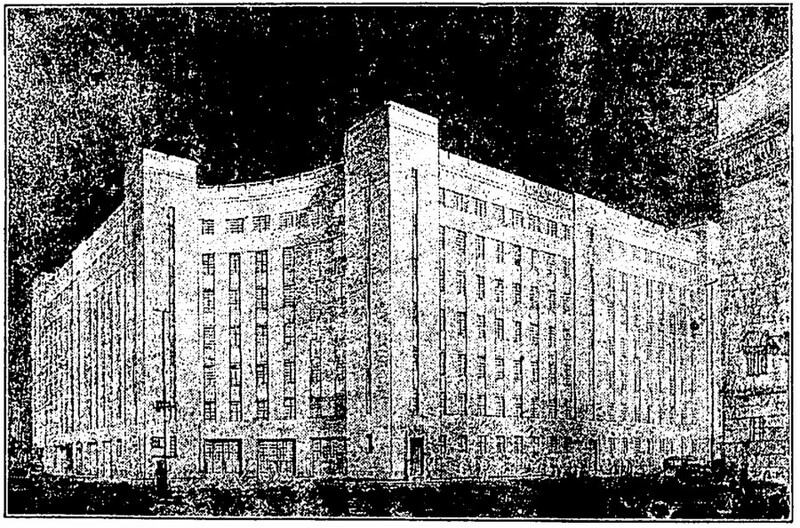 Part of the Development Building (left) and Central Police Station (center) in 1937. Image: Harrison Forman, AGSL at UWM. 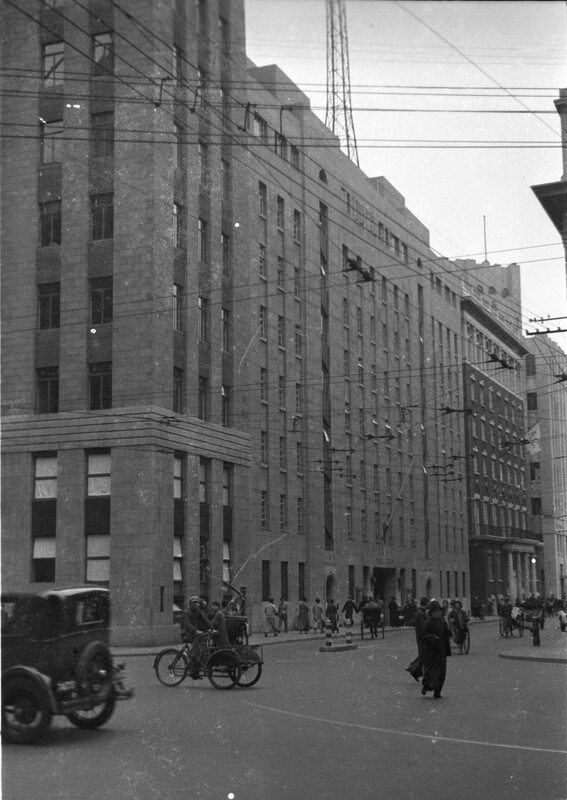 The version of the corner building that was built in 1934 for the Commercial Bank of China, by Davies, Brooke & Gran. Image: minguotupian.com.